NEW YORK, January 22, 2018	(Newswire.com) - New York is one of the most popular travel destinations in the world, but it's also one of the most expensive. Even a weekend trip could cost well over $1,000 if a traveler isn't careful with spending money. 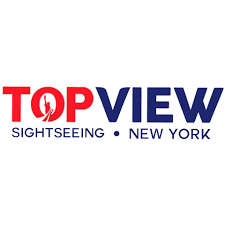 TopView NYC, a tour bus company that takes people all over New York, knows all about the costs of visiting New York and how tourists can take a more budget-friendly trip. Blair Nicole, the PR director for TopView Sightseeing, says, "You don't need to go broke to see New York. If you're smart about where you stay, what you see and how you get around, you can have a great time without spending like a high roller." 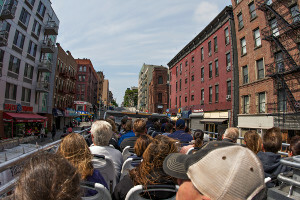 From the research TopView NYC has done on how to see New York on a shoestring budget, a few strategies stand out as big money savers. By implementing these on a trip to New York, visitors will spend much less. A hotel room can be a big expense, especially for travelers booking a nice hotel in a trendy area. This is one area where shopping around and being flexible can make a huge difference. Don't just limit the hotel search to one site or area. With how close everything is in New York and the ample public transportation, staying outside of a preferred area isn't a big deal. Travelers should check out a variety of hotels, not just the major ones, and broaden the search with Airbnb. Tourists could opt for a room on there instead of a whole place. New York has more than its fair share of big-ticket activities, but there are also plenty of fun things to do for free or at a low cost. For example, instead of spending money to see the Statue of Liberty, a tourist could ride the Staten Island Ferry without paying a dime. For those who want an entertainment fix, try a late-night show that offers free tickets to tapings. This doesn't mean travelers need to avoid the expensive attractions entirely. Just be selective about them and look for cheaper alternatives when possible. Cabs and Uber rides will quickly add up, and with the traffic in New York, they won't get you places very quickly, either. Bring a comfortable pair of shoes and walk when the destination is within a few blocks. Travelers will see more of the city this way and get a better feel for it. Public transportation is inexpensive and fast. For travelers who plan to use the subway frequently during their trip, there are MTA passes for just over $30 that let visitors ride as much as they want over a seven-day period. Even for visitors who will only be in town for three or four days, this may still be the most affordable option. 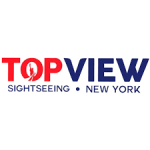 For more information about attractions at every price point to check out while you're in New York, visit TopView NYC's Attractions page. Interview requests and press inquiries should be directed to Media Moguls PR at Blair@Blair-Nicole.com.